Allan is a seasoned, top-level executive with over 30 years of strategic and tactical experience in a wide variety of industries and business environments. He was classically trained in marketing within large corporations, but also has extensive involvement in and is intimately familiar with startups and their many challenges and nuances. He has proven expertise and leadership as a CEO, and as a CMO within all functions of marketing, including strategic plan development and implementation, market research, messaging, branding, advertising, public relations, packaging, direct response programs, strategic partnerships and licensing. As a partner in The HMC Company, Allan has personally managed the emergence and/or growth of over 35 established businesses and new ventures during a 25-year period. His diverse list of clients included Monsanto, IBM, Coinstar and Horn Abbot (creators of the world-renowned board game, Trivial Pursuit), as well as a wide variety of startup companies. Several successful consulting assignments led to full-time executive employment, most notably as CEO of Essential Security Software, as well as VP of Marketing positions at GRINrx Corporation (dental products) and the bEQUAL Company (educational family games). 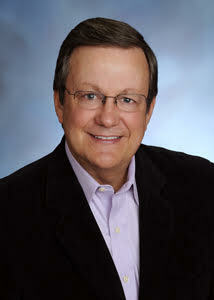 Prior to consulting, Allan held senior marketing management and sales positions with Crescent Foods, Hunt-Wesson Foods (Con-Agra) and Oscar Mayer. In conjunction with his extensive consulting career, Allan is the founder of ConsumerView, a qualitative marketing research firm. He is highly experienced and well trained in all elements of qualitative research, including planning, respondent recruiting, questionnaire development, moderating / interviewing, results analysis, report writing and management presentation. Allan also has extensive experience with non-profit organizations. He was appointed by the U.S. Secretary of Health and Human Services to a four-year term on the National Advisory Board for Arthritis, Musculoskeletal and Skin Diseases (a National Institutes of Health board that develops recommendations for Congress). He also served as President of the National Psoriasis Foundation, a 25,000-member organization located in Portland, OR. Other board positions have included Pacific Northwest Ballet, the Seattle Theater Group (Paramount Theater), and Pepperdine University in Malibu, CA. Allan’s education includes a MBA degree in Marketing from Arizona State University and a BS degree in Communications from Northwestern University. He is a licensed pilot with land and sea ratings, and his other interests include golf, The Arts, distance swimming, skiing, several spectator sports and travel.